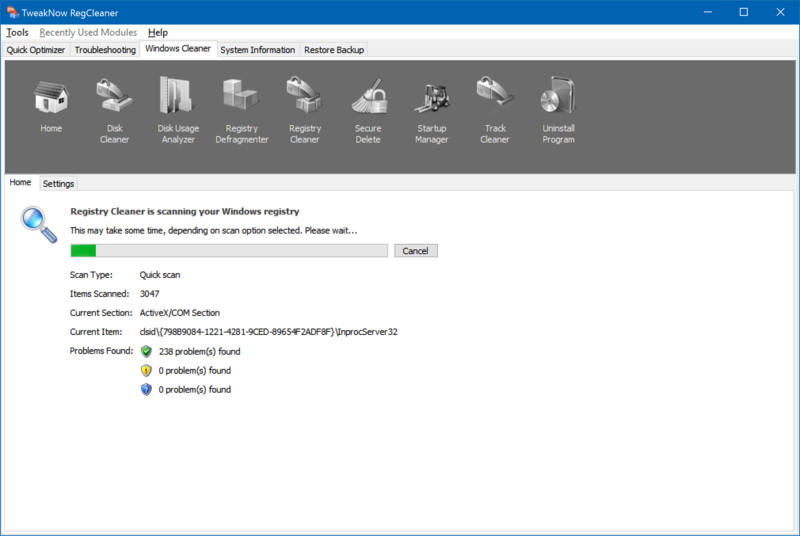 The TweakNow RegCleaner is a fast, secure registry cleaning tool that gives you control on how your system should appear and work. Everything you do using your computer gets a registry created which needs timely deletion to avoid disk clutter and clog. Otherwise your machine performance will be affected by them. And for keep the registry unit updated without clutter, you need a registry cleaning tool that works professionally as mistake and improper handling of the registry can result in badly impacted computer. Therefore, rely on professional solution that is reputed globally like the TweakNow RegCleaner. Few programs and computer systems can automatically keep your registry system clean. However they are not efficient enough as their cleaning will not help you in getting the computer performance optimized for your work. For this reason, the TweakNow RegCleaner is a clear recommendation to help you wipe out the obsolete entries in the registry system. What one can do with the TweakNow RegCleaner are, scanning the computer system for registry errors, utilizing advanced algorithms in identifying the obsolete registry entries, creating back up and cleaning them all. Here we detail all the functionalities that you use to your benefit from using the TweakNow RegCleaner. It will help you to get system information like hardware monitoring, system summary, Windows operating system details, video, processor, network, motherboard, memory, hard disk and disk partition details. The TweakNow RegCleaner works as your ideal Windows cleaner tool and offers you disk cleaning, disk usage analyzer, defragmentation of the registry and registry cleaning, secure deletion, managing start up and track cleaning and uninstaller for various programs. It’s a troubleshooter and quick optimizer for your PC. What do you think about TweakNow RegCleaner? 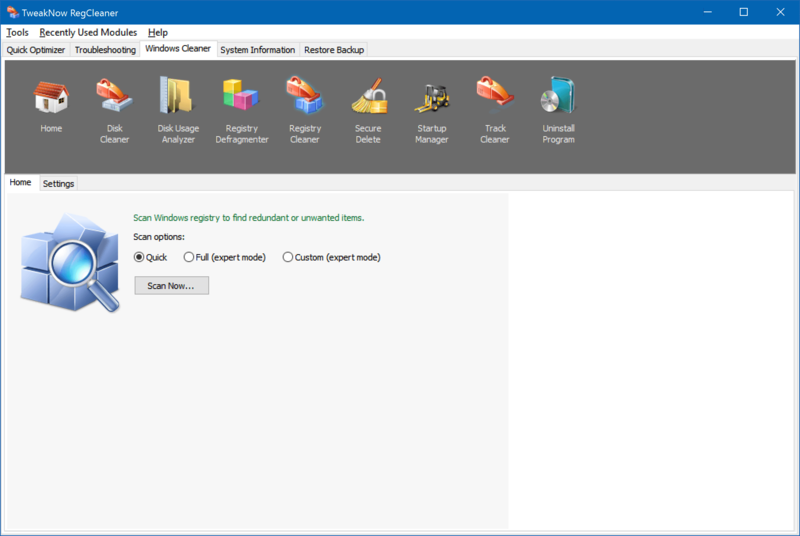 TweakNow RegCleaner 7.3.6 Aug 8, 2015 General: Added support for Windows 10.